Here is the quick list of the top four dating sites in Switzerland. I’ll go into more detail in my reviews later in this article. Switzerland has a good and bustling online dating scene much like Germany. The best online dating sites in Switzerland have a lot of members and are up-to-date with the latest functionality that you would expect from leading dating sites around the world. Having been to Zurich before and skied in one of the country’s most popular ski resorts, I will tell you that you can certainly find beautiful women all across Switzerland. You won’t find the raw beauty characteristic of women from Ukraine or the Czech Republic, but you will see some stunners here and there. Without further ado, here are my detailed reviews of the top four dating sites in Switzerland. If you live in Switzerland and are over the age of 35, then eDarling.ch is the best dating website for you. If you are younger than 35, then continue on to the #2 site below. The eDarling brand is widely considered Europe’s most important dating brand. eDarling.ch is a personality-test dating website for people who live in Switzerland. The site is operated and owned by the same people who run EliteSingles. Both of these websites have similar features and design. The site has over two million users. People are matched based on a detailed, lengthy personality test. The only downside is that you will have to pay for a premium membership. However, if you want to find a match in Switzerland and do not mind paying, then Edarling.ch is a website that you must try. You sign up by selecting your gender, match gender, password, and email. The next thing that you will need to do is take the personality test. It will take you 30 to 40 minutes to take the personality test. The test has 200 questions and asks you questions about your passions, interests, basic information, feelings and values. You will be able to browse once eDarling calculates your matches. There is a lot that you will need to fill in on your profile. It also has 12 sections that you will need to fill in about yourself. There is a “What My Partner Should Know About Me” section. There is also a section that allows you to select the habits and traits that you want in a partner. eDarling has a unique way of helping you find matches. It uses an algorithm and helps you find matches based on test results. You will be limited to seven matches per day. If you are a free member, then you can view almost everything on your matches’ profiles. This includes their personality report. However, as a free member, you will not be able to look at the photos. If you upgrade to a premium membership, you can see up to 20 profiles a day. What do you look forward to seeing in the next decade? How important is personal space to you in a relationship? What would you do if your favorite song played, and the dance floor was empty? Premium members will be able to send basic text messages to one another. eDarling has a top of the line personality test. It was developed by a team of qualified psychologists. You will be provided with an in-depth personality dimension analysis after you complete the test. It compares your level of neuroticism, extraversion, openness, conscientious and agreeableness to other members’ average. I enjoyed reading other members’ personality reports. The personality reports, basic information, and what people write on their profiles will give you detailed information about what other members like. Even though I was a free member and could not look at any photos, I was amazed at how well I felt like I knew people by looking at their profiles. 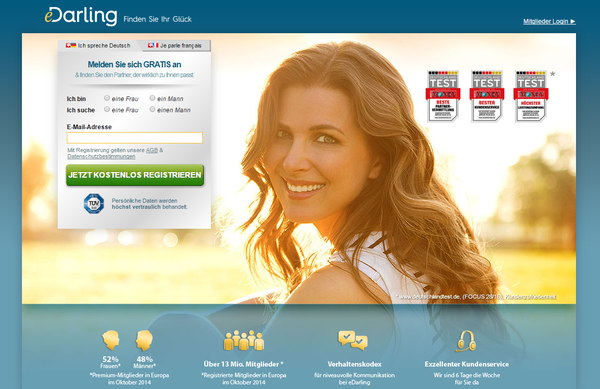 LoveScout24.ch is the best online dating site in Switzerland (This site rocks in Germany as well!). If you have time to sign up for only one online dating site in Switzerland, this would be the one that I would recommend. LoveScout24 used to be known as People United way back in 1997 but was grown over the course of several years. The site’s security system checks IP addresses to make sure members that are signing up are from Switzerland and not outside of the region. For those who can become a member, this site is well worth your time spent, browsing through the many different profiles to find your perfect match. The sign-up process is quick and painless. Just enter all relevant information like your name, email address, and of course a password. Then go about filling in the kind of person you are looking for: tall, thin, outdoorsy, athletic, sports fan and the like. Although there will be around 20 questions for you to answer about your ideal perfect match, you don’t necessarily have to answer them right away. As time goes on, you can fill in the blanks little by little. Once you are ready to start, click the search tab and begin your hunt. Finding the perfect match can seem like finding a needle in a haystack, but remember it is the journey, not the destination. Telling your grandkids about how you met is one of the best parts, so enjoy the process. And don’t give up, especially when there are since you’ve got to kiss a lot of frgs before finding your princess. Like many dating sites, there are two search functions that allow you to do a basic search or an advanced search. The basic is just that, simple to the point. You can look for someone just like you with your same interests, someone born on a particular date –which does include your birthday as well, or by reverse and mutual matches. Advanced searches offer a few more tools to help you narrow down your prospects. No matter which way you go, you are bound to find someone. All searches can be saved. The nifty aspect of this site is the “Shuffle” feature that displays random matches based off of your criteria instead of browsing yourself, and both parties are notified when there is a possible match. In order to communicate with anyone, you will need to have a premium account. Once your account is activated, the sky is the limit. Flirt with anyone and everyone if you want to. Send people a “Smile” or a direct message to get the ball rolling. This site, unlike others, allows members to block up to 100 other members. This is nice especially when people are weird, and you don’t want anything to do with them. 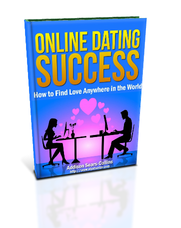 The dating online world can be tough as it is, and this feature helps filter out the pretenders. LoveScout24 will email you once a week to let you know how your profile is doing, and who is checking you out. It also keeps track of messages sent and received and lets you know how you are doing as far as the dating scene goes. This site is a big fan of the #LoveYourImperfections tag (found on Match.com and Meetic), which enables you to display what you think is a quirk about yourself. Sometimes it is the oddity that brings people together. Think comic book geek or Star Wars fan. Maybe your quirk is you’re a night owl and enjoy exotic food. Unlike most dating sites where people are trying to impress others, the #LoveYourImperfections is a great way to display proudly your imperfections to the world. Who knows, your perfect match may find that side of you adorable. Founded in 2001 and based in Boulogne-Billancourt, France, Meetic.ch is the second best online dating site in Switzerland. From its humble beginnings, it has grown into the largest online dating site in Europe (source: JupiterResearch). Following the acquisition of Match.com’s European operations, the site exploded in popularity and has millions of members all across the EU. With that said, If you are intending to go to Switzerland or live there for any significant period of time (and you are single), sign up for Meetic.ch. When you first log into Meetic.ch, there is the typical information you need to provide. You need to select you gender and who you are looking for, a male or female. Then enter your birthday and fill in the information about your personality and lifestyle. Don’t forget to include your ideal match, the qualities they possess, how tall they should be, what kind of music they should like, etc. This helps to narrow down the playing field. It would be wise to upload a picture of yourself as well. A profile receives more interests if there is an available photo. You should also say something about yourself, your likes and dislikes, so that prospects can get an idea of who you are. All in all, it shouldn’t take you more than 10 minutes to complete the sign-up process. What makes this site stand out is the short quiz you can create for your visitors to take as a way to break the ice and show a different side of your personality. There are different searches you can perform when looking for your match. You can pick the basic search to find out if a person is born on a specific day of the month. The basic search shifts through your potential matches by the areas of interest to you. The basic search is just that, basic and pulls information from your profile to display possible interests for you. Then there is the Advanced search. This is where you can narrow down the list of people by filtering for a specific age or location. You can even find out if the dating match selected is a smoker or a drinker. There is also the “Shuffle” feature, a Tinder-like feature in which you are shown random profiles. Both parties are notified if there is a mutual match. Once you’ve found someone you are interested in, you can send them what Meetic.ch calls a “Flash.” This is similar to a wink or flirt feature that is common among other dating sites. However, you won’t be able to chat with them unless you are a premium member. Mag – This is the website’s blog and is loaded with articles and helpful advice about dating and meeting new people. It is especially helpful for those who are shy and aren’t sure how to make the first move. There are also other articles on many other topics that revolve around online dating and relationships. Customer Support – Meetic.ch has fantastic customer service. If you call their hotline, you can speak with an actual representative who will answer all your questions and help with technical issues that may arise on their site. You don’t find that on many dating sites, which makes this one so amazing. However, to speak to a customer service rep, you will need to have a premium account. Parship.ch is the Swiss version of the popular Parship dating brand. Parship became a part of the online dating world in 2001 when they launched their service in Germany. The following year they expanded their website to other countries, including France, Italy, Sweden and the UK. What separates Parship from many of its competitors is that they take a serious approach to dating, complete with an elaborately-designed matching system. Signing up requires more than just filling out a profile and uploading a photo. You will need to take a rather long personality test, which will determine your matches. Even though some people may not like spending so much time on a personality test, it is actually quite helpful when looking for a serious partner. It also makes Parship a higher quality dating website than others. The first part is relatively simple. You enter your email address, choose your password, then choose your gender and your ideal match gender. Then, you go onto the Parship Principle. This is a scientific questionnaire that may take up to an hour to finish. While the majority of the questions are multiple-choice, there are also some sections that are more abstract. In these sections, you will be asked to pick a title for a dream image or to select your favorite from two abstract images. The test may seem long at times, but it shouldn’t discourage you if you are serious about meeting a compatible partner. Once you have finished the test, your profile is just 35% complete. While the majority of online dating sites have a search option that lets you browse through profiles in your area, Parship is a bit different. You can see users that are online and have the ability to filter matches through a few criteria, but Parship’s system makes partner recommendations for you. These recommendations are created by comparing the results of your test with the tests of other members, creating a compatibility score. At first, the photos of your matches will likely be blurred. This is because members need to authorize others to see their photos or upgrade their membership to premium to make their photos available to the public. In order to get in touch with others on Parship, your own profile will need to be at least 50% complete. When this is done, you can send someone a text message, an “icebreaker,” which is a small multiple-choice questionnaire, a Smile, a compliment, or let them see your photos. While Parship isn’t the only dating site to use a matching system, the one that they have developed is quite advanced. It was created by a psychology professor at Hamburg University and is the result of 40 years of ongoing research. Just by joining the site as a free member, you will get access to a lot of information about yourself and others. The test results give you some insight as to what kind of partner would fit you best and how you handle yourself in a relationship.